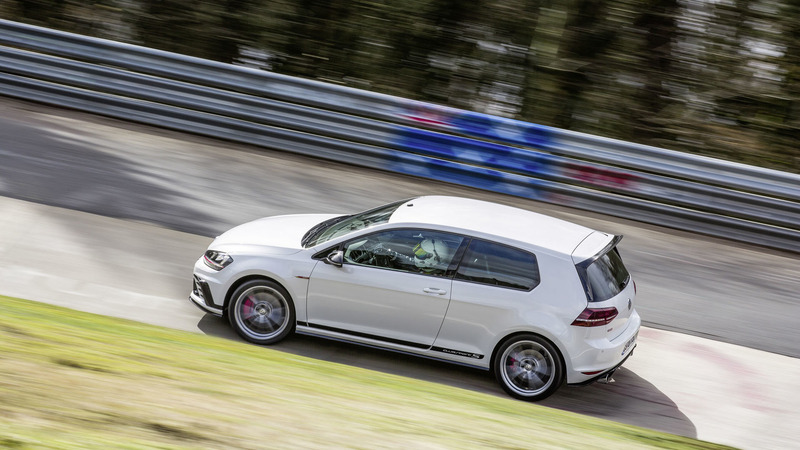 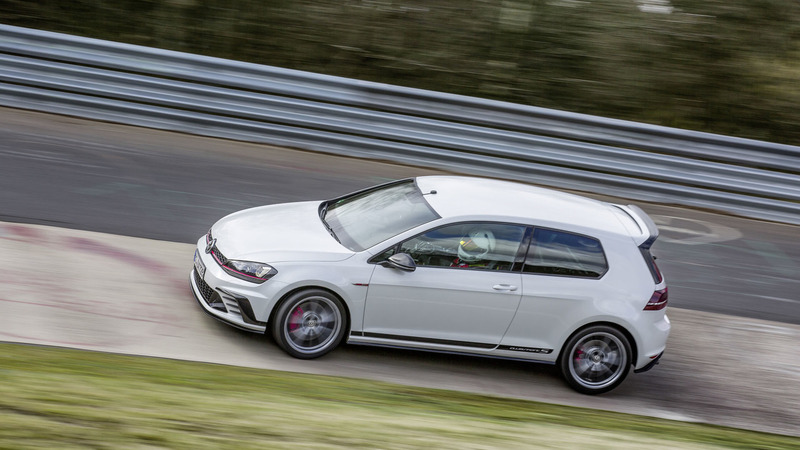 Volkswagen has broken the front-wheel-drive production vehicle speed record at the Nürburgring with the Golf GTI Clubsport S.
Created to celebrate the 40th anniversary of the venerable Golf GTI, the 228kW front-wheel drive hot hatch lapped the Nordschleife in 7 minutes and 49.21 seconds, driven by German racing driver, Benny Leuchter; in the process breaking the previous lap record set by the Renaultsport Megane R.S. 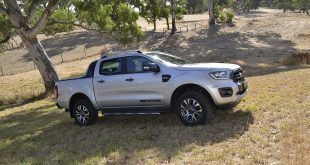 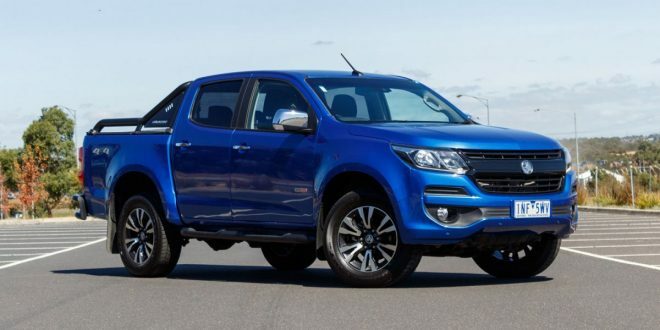 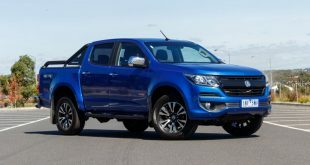 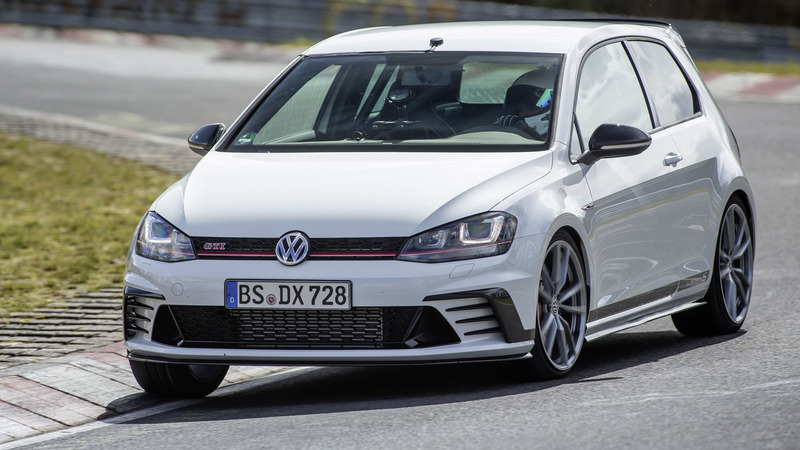 275 Trophy-R.
Powered by an uprated 2.0-litre TSI four-cylinder engine which has been equipped with a new fuel pump, sportier exhaust system and an optimised ECU, it churns out 228kW and 380Nm of torque. 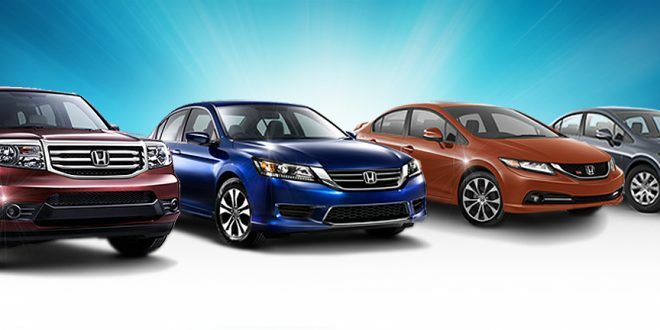 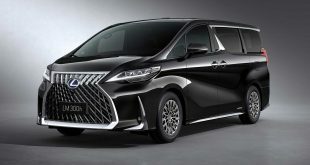 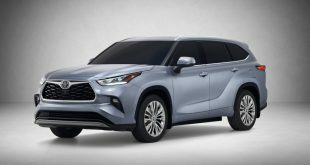 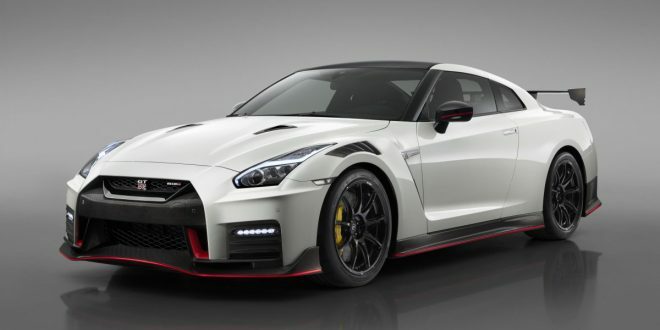 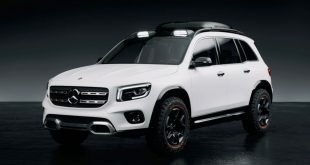 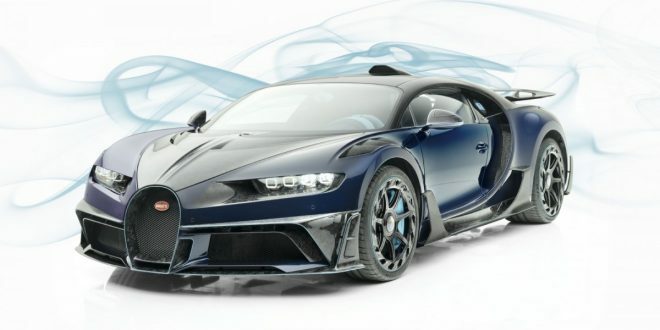 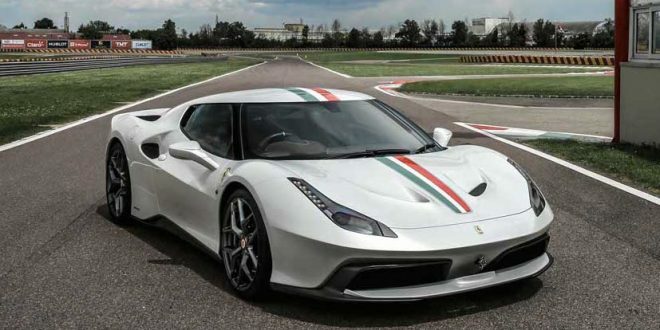 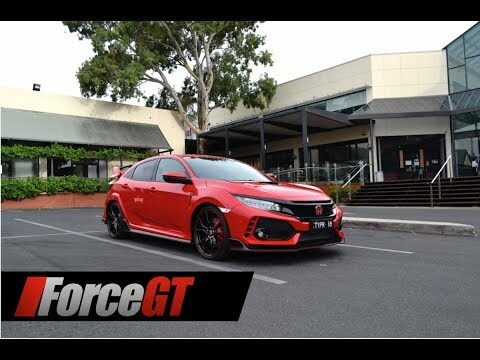 The engine is connected to a six-speed manual transmission that enables the car to accelerate from 0-100km/h in just 5.8 seconds, before hitting a top speed of 261km/h. 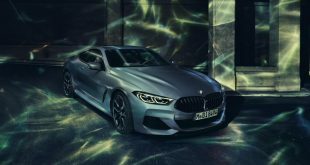 As the car was designed from the outset to set a new record at the Nürburgring, it is equipped with an exclusive ‘Nürburgring’ setting on its Driver Profile selector. 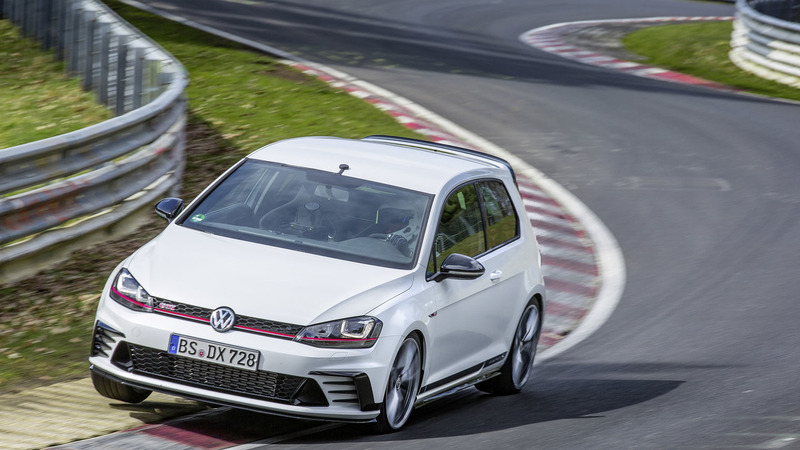 Volkswagen says the Green Hell mode has been fine-tuned to suit the unique conditions of the track. 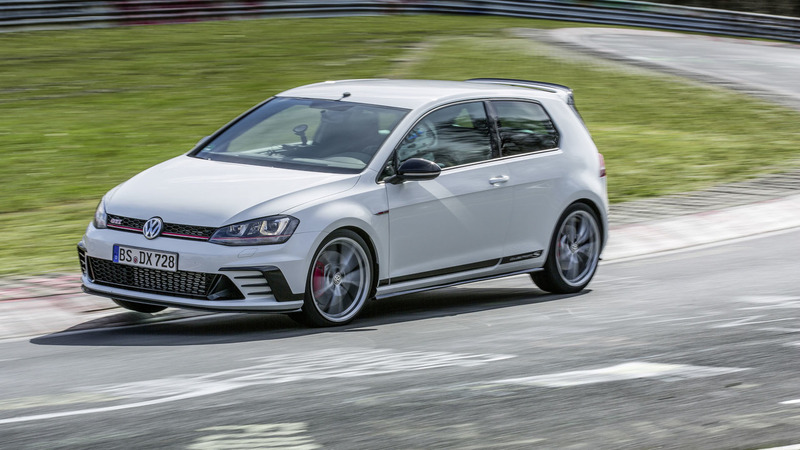 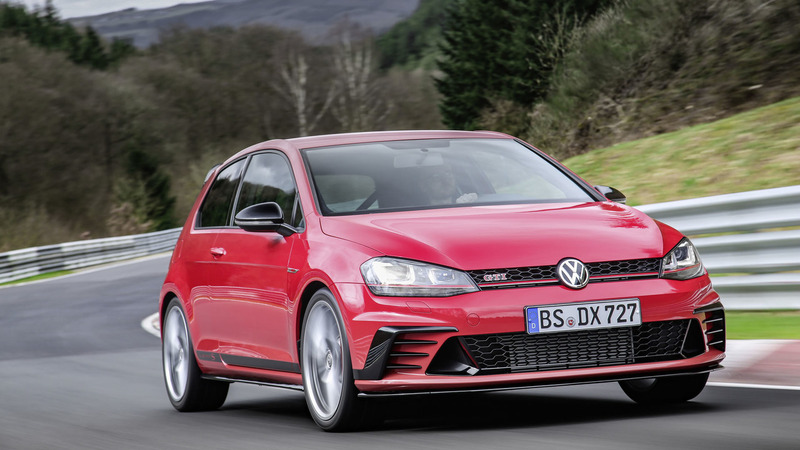 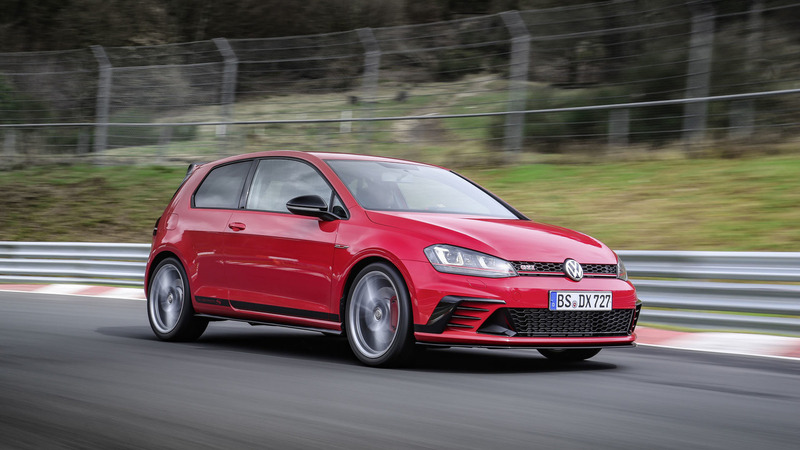 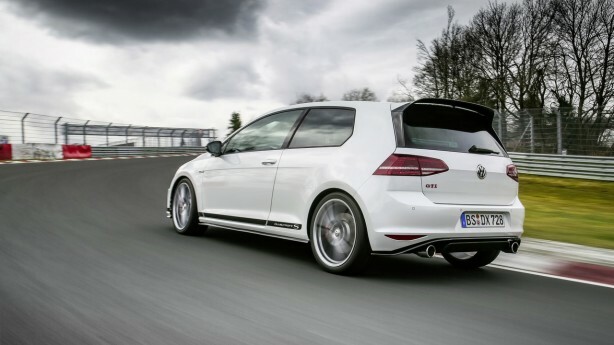 The Golf GTI Clubsport S is available exclusively as a three-door and features an aggressive body kit and 19-inch alloy wheels with semi-slick Michelin Sport Cup 2 tyres. 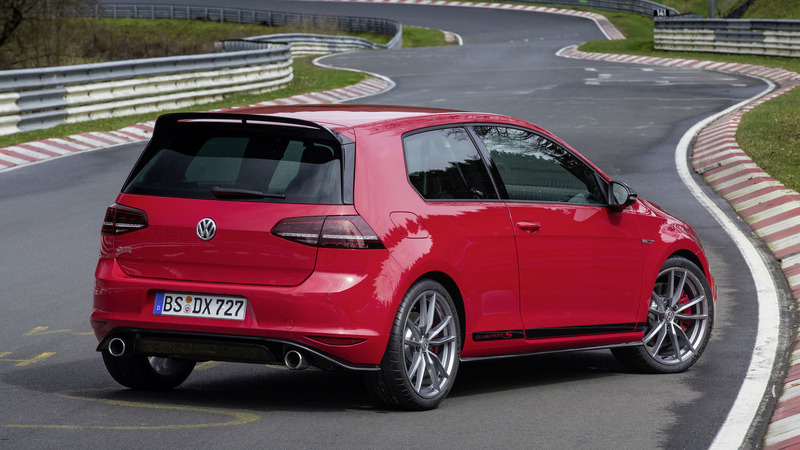 It will be finished in Deep Black Pearl Effect, Pure White or Tornado Red – the colour of the original GTI. 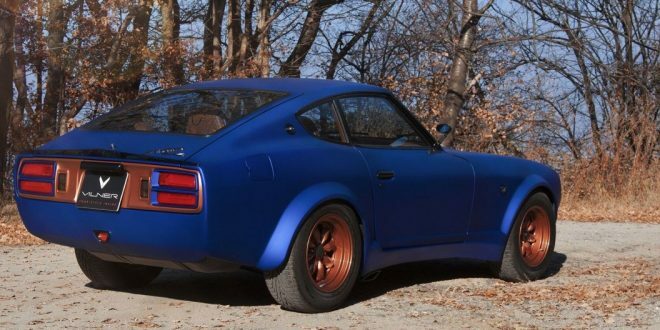 Inside, the interior has been stripped of the rear seats, centre armrest and some sound insulation in order to make the car as light as possible. 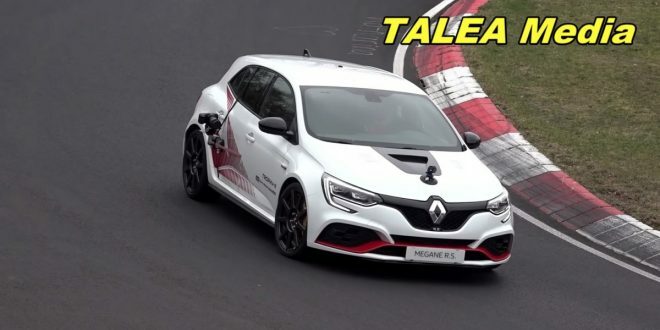 Engineers also installed a smaller battery, aluminium brake covers and an aluminium subframe for the front suspension. 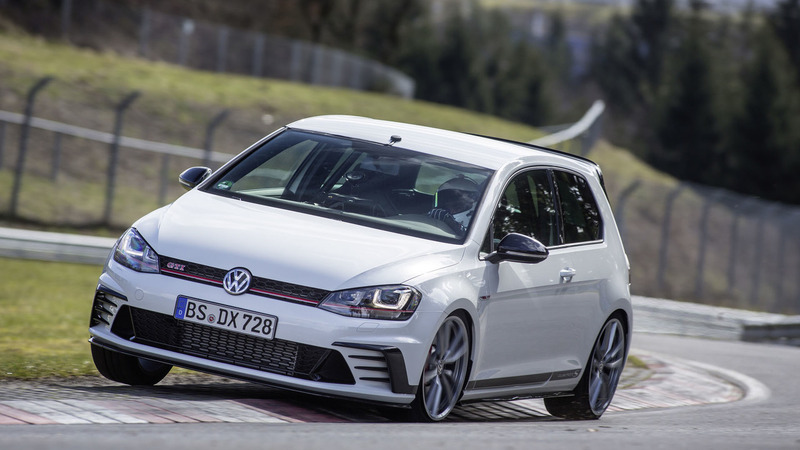 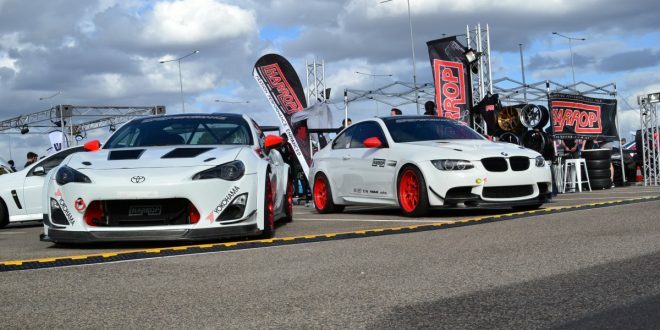 Thanks to the lightweight diet, the Clubsport S tips the scale at 1,360kg. 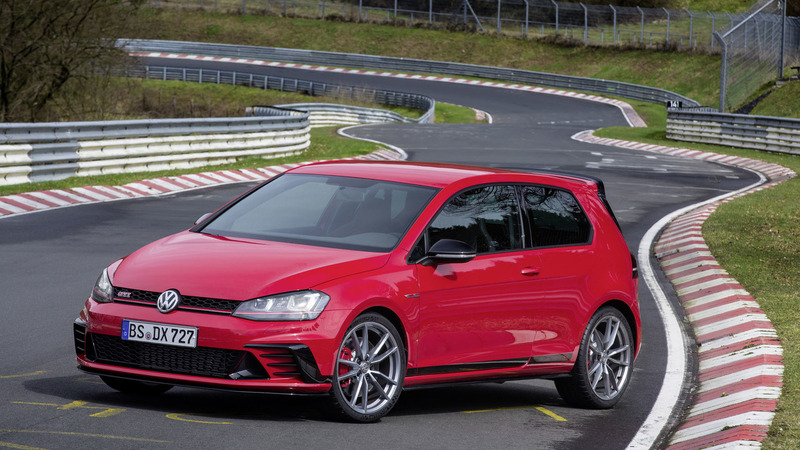 Just 400 units of the Golf GTI Clubsport S will be built, with 100 of those reserved for German customers.